Blockchain has the potential to improve the security and transparency of supply networks. In this piece, we look at how it can work. The concept of blockchain is simple: a decentralized ledger is hosted and maintained in the cloud by those using it, with no one having the authority or access to make unilateral alterations. Though it was created to serve as the foundation for Bitcoin, it has quickly been recognised as a valuable option for countless industries in need of secure yet accessible transactions — one of them being the supply chain management industry. Many moving pieces go into a supply network, with myriad companies working together through numerous steps to handle distribution management and fulfil demand, and this can easily result in disagreement and even mutual blame when something goes awry between two steps in the chain. This can end up requiring some form of arbitration before it is adequately resolved. Even if the aggrieved parties grudgingly agree to move on from the unclear responsibility, though, it still doesn’t bode well in the long term. Smooth operation demands good working relationships. Compromise those relationships, and things start to break down. 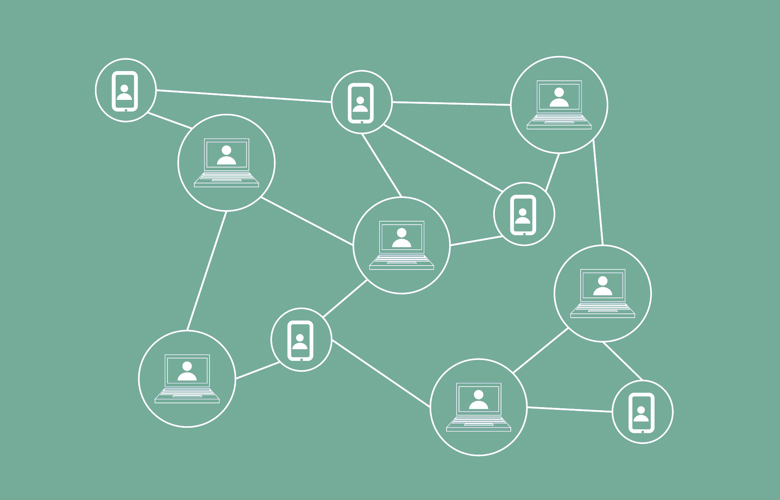 Through blockchain, all organizations involved in the supply chain can use one overarching tracking system instead of multiple systems that only occasionally connect, meaning that everyone can agree to a certain standard for everyone to adhere to. And because blockchain networks are updated only when the proposed updates have been vetted and verified by a majority of the connected nodes, any given piece of data can be trusted as genuine by everyone involved. When something goes wrong, there will be little point in the responsible party trying to hide it — the data will quickly reveal their culpability. Owing to the aforementioned consensus, the implementation of blockchain technology in a supply chain has the potential to rapidly and effectively identify weak links and inefficiencies. Compare it to installing a comprehensive analytics system for an entire software suite that previously relied upon individual analytics packages — with a high-level view of the situation, you can quickly identify that program A is not communicating well with program B, or that program C is producing inaccurate information and thus compromising the whole system. With those liabilities out in the open, they can rapidly be addressed and resolved, leading to a swifter and stronger system for all parties. And drawing from the democratic nature of blockchain, companies can even establish some shared commitments to removing obstacles, meaning that businesses inclined to neglect their responsibilities will be suitably replaced. Instead of being hidden in a private server somewhere, a blockchain network is accessible from anywhere to anyone with the necessary access. We’ve established that it’s tremendously useful for a business that plays a role in a supply network to be able to see what other businesses are doing as part of that network, but it’s also important for clients and customers. Consider the current disparity between physical and digital assets. If you look to buy a physical product through a marketplace, then you’ll be presented with information of uncertain accuracy. A listing on eBay might say that an item is 4 years old and in good condition, but there’s no guarantee that it’s correct because it’s self-reported. For comparison, if you look to buy an online store through a digital marketplace, then you’ll have ready access to granular analytics pulled directly from the ecommerce CMS, showing you performance data including traffic levels and profit margins. You won’t need to gauge how trustworthy the information is. This doesn’t mean that digital valuation is flawless, of course, but it does make it markedly more consistent and transparent. Blockchain networks can essentially treat physical assets as digital assets, linking products via IoT-compatible tags and securing details through biometric-confirmed authority and AI-driven inventory management systems. Anyone can immediately determine a product’s legitimacy. Since plenty of supply companies frequently suffer fraud issues, with many of them responsible for producing or shipping expensive items (and many of those being highly important for healthcare or security), having this ability to confirm the genuine article is invaluable. Though blockchain technology is nowhere close to being as interesting in itself as many like to claim, it has superlative potential as a foundational framework. With each passing month, we move closer to a world that’s broadly IoT-driven, and centralized systems holding that data would create some major problems. The democratic approach to supply network management is vastly preferable. Supply chain companies can offer their clients peace of mind and improve their levels of cooperation in one fell swoop.